Well I missed Halloween. Spent an entire month doing a bunch of stuff, most of which was non-Halloween related. Younger Tyler would have been so disappointed. 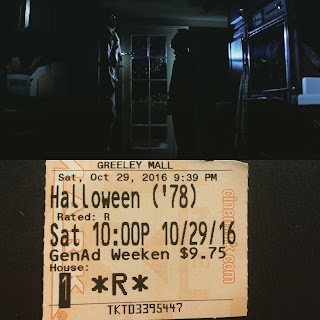 Unfortunately, I just didn't have the time nor the heart to continue with my "31 Days of Halloween/Horror" for another year. Instead, I opted just to enjoy the month without limitations and it ended up being one of the more memorable Halloween experiences of my life, with something I'm hoping to add to subsequent years: a trip to the theaters. 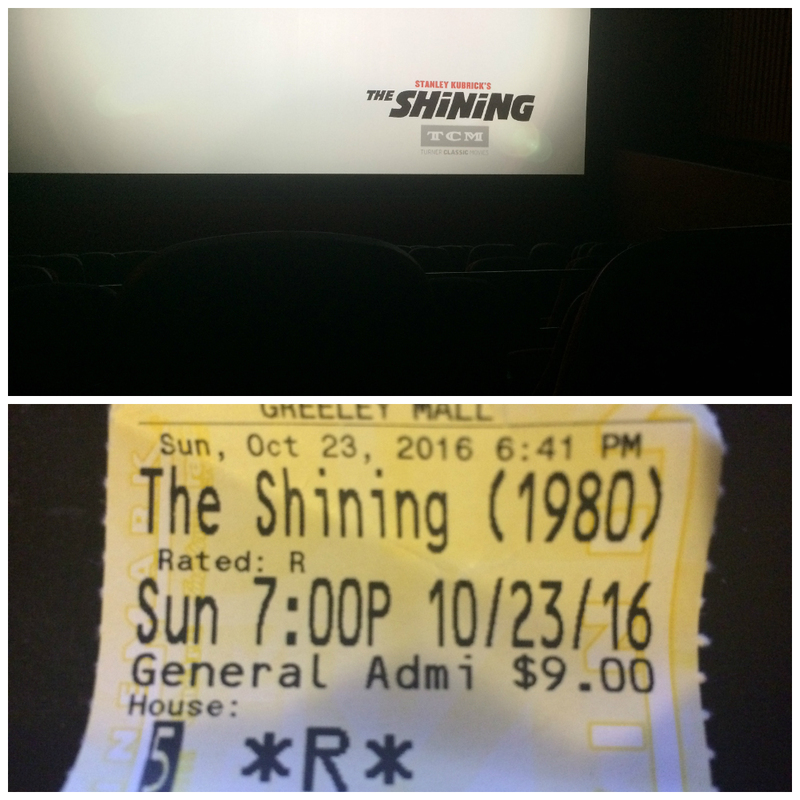 I was recently lucky enough to be able to see two classic horror movies in movie theaters: The Shining and Halloween. If you know me, then you know that those are two of my absolute favorite films of all time and have been since I was a teen. So the while the idea of seeing this films in an auditorium may have crossed my mind, it never came across as a feasible option. Thankfully 2016 has provided a bountiful harvest of horror films in the theater that I'm actually able to pick and choose which I wanted to see, and the choices were obvious. As much as a I love The Shining, it's run-time can certainly be wearing, especially given the slower pace of the extended version (which was what we saw). While I prefer the Kubrick Cut for it's more frantic pace/less supernatural elements, I still love this version to death. It's a journey into insanity, only being rivaled by A Nightmare On Elm Street and The Descent. Halloween was an otherworldly experience. I never in a million years would have thought that I'd be able to see that movie in theaters and the quality was superb; the best I've ever seen the film look. 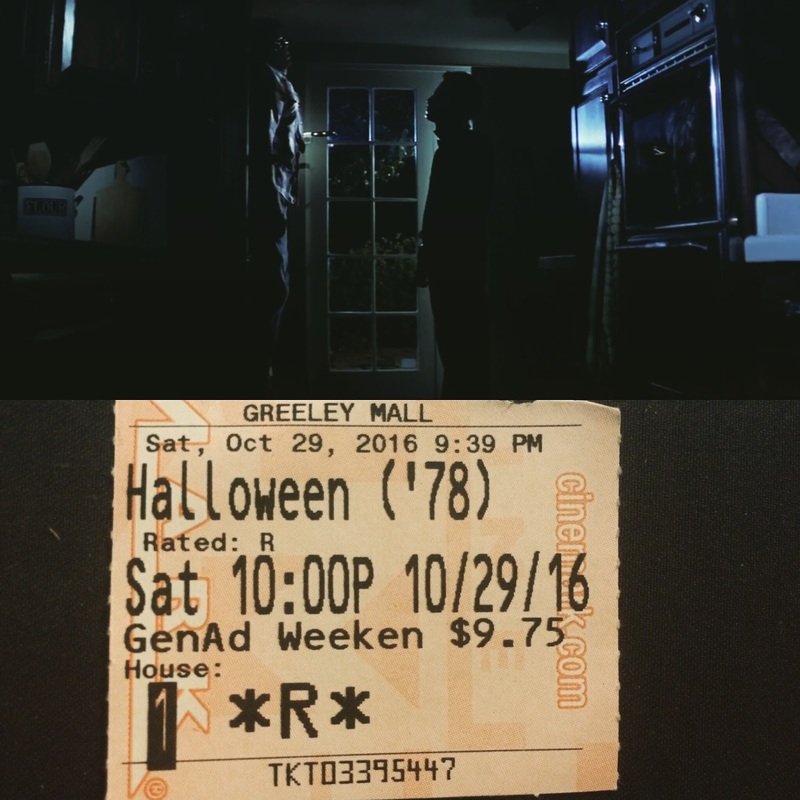 While The Shining was clearly just an okay transfer likely taken from the Bluray, Halloween felt absolutely pristine. I'm still not entirely sure what format we saw it in, but whatever it was, it provided a look unlike any other. While I can't vouch for every Fathom Event (apparently their presentation of Halloween last year was poorly done with low quality sound and a darkened image) but they seem to have worked out all the kinks for this recent cycle, and I can't recommend it enough. Here's hoping they switch it up next year and I'm able to cross a few more essentials off my list.